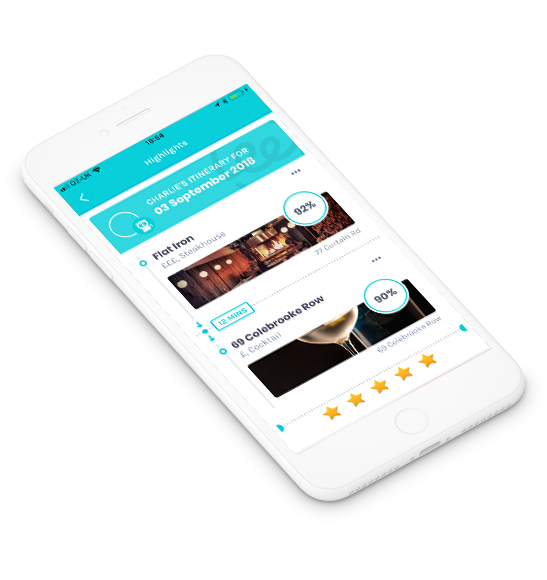 eezy instantly matches you with amazing things to do in your city using groundbreaking A.I. technology. Discover restaurants, bars, and movies that match your mood. Make bookings in a few taps. No print-outs! Create evening plans in moments. Share an itinery with friends or go it alone. Have an amazing evening last minute, or plan ahead. It's up to you. 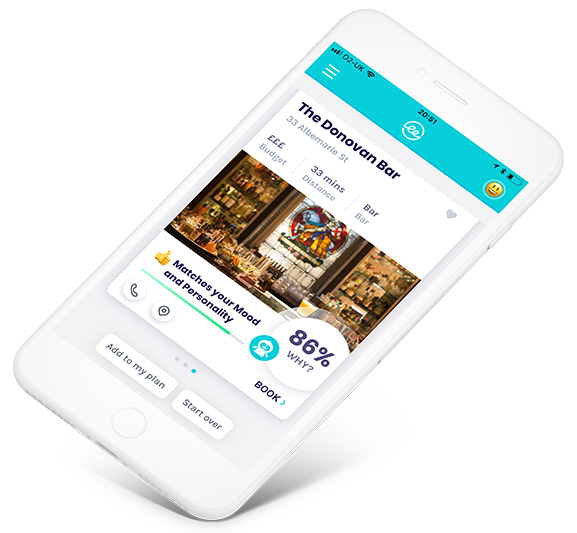 eezy's powerful Artificial Intelligence engine is connected to 18,000+ venues making it effortless to discover new places you'll love, on nights you'll never forget. How do you make the right choice of where to go in the city, with so many options? eezy's A.I. uses thousands of datapoints to plan you the perfect evening in seconds. 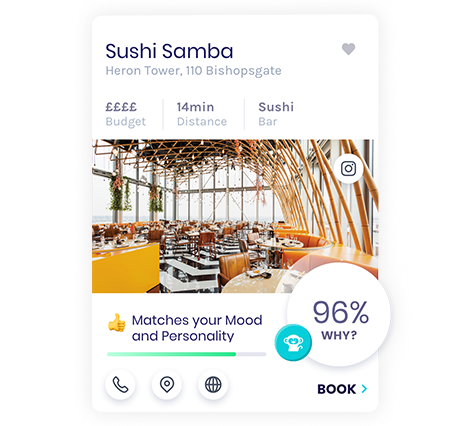 eezy recommends venues and activities based on your mood and unique personality. 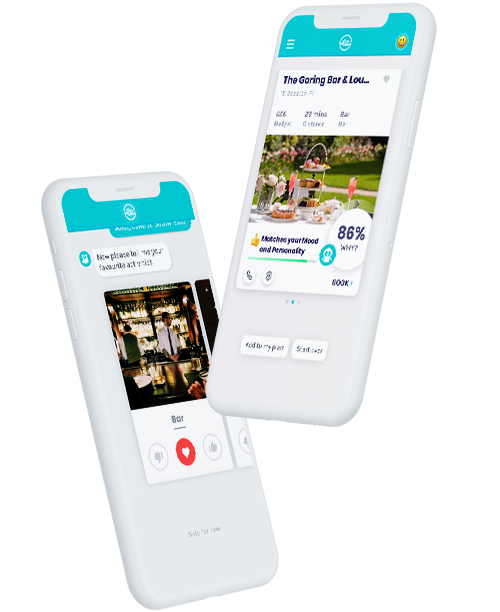 No need to plan ahead - if you feel like dancing after dinner or chatting before cinema eezy can adapt plans in realtime, from booking to travel arrangements. 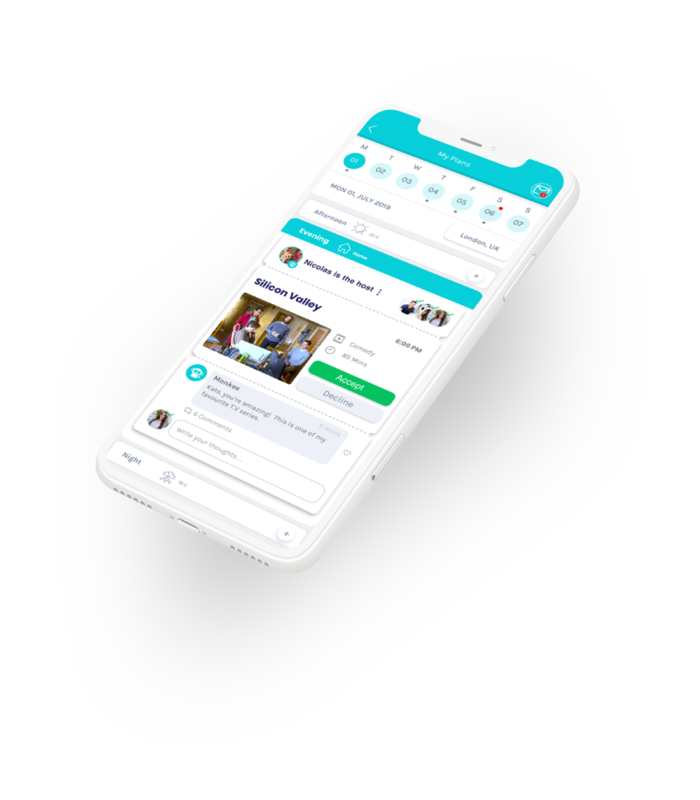 You can instantly share plans made in eezy with as many friends as you like, taking the stress out of organising entertainment for a group. 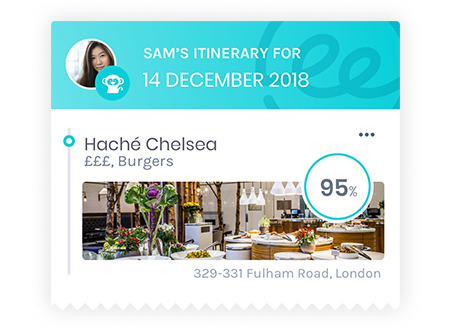 Whether you need to plan lunch for a client, meet up with a group of friends, impress a date or have a quiet conversation with someone, eezy has you covered. Watch our 30 second trailer to see what makes eezy so special. Or just install eezy for free and start making plans! eezylife Inc. 2018, New York City, 230 Park Ave, 24th Floor, NY 10169. Made to Dream!